1895 Newsboy Cabinets (N566)Peter Jackson. The National Tobacco Works issued a gigantic set of several hundred cabinet (4 1/4” x 6 1/2”) cards in the early 1890’s, popularly listed as an 1895 issue. 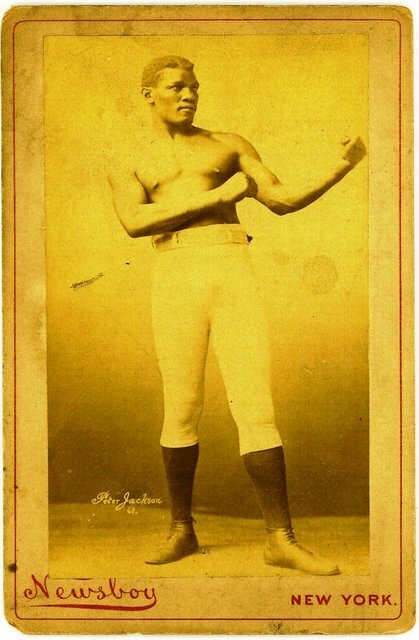 I know of 4 boxing subjects, John L. Sullivan, Jim Corbett, Peter Jackson and Bob Fitzsimmons, depicted on at least 14 different cards.